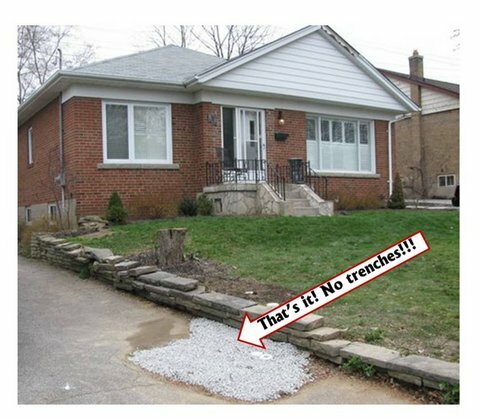 Trenchless drain pipe repair is a new approach employed by only a few Toronto plumbers thus far. If you’re having trouble with your sewer drain pipe, you no longer have to face having your landscape torn up to fix the problem. Trenchless drain repair has become the preferred way to replace a drain pipe rather than laborious, expensive digging (particularly under concrete, large trees or blacktop). If you’ve never heard of trenchless drain repair, you’re not alone. This is a relatively new, cutting-edge plumbing method. It begins by opening a hole adjacent to the building where the pipe problem begins. A second hole is excavated at the end of the pipe. These holes allow the plumber access to small sections of the drain pipe from which they can remove just a very small amount. The plumber uses these two holes to feed a cable with a sharp head through the entire length of the pipe. The head of the cable breaks apart the present piping to make room for the trenchless pipe. So of what is the new pipe made? Heavy duty black plastic. This pipe has no joints whatsoever. That means tree roots can’t get in, and no future leaking. This entire process takes but a few hours and many repairs are completed on the same day. Permalining: An alternative to breaking the existing pipe to move it out of the way is a system called permalining. As the name implies, this approach uses epoxy resin forced through the existing pipe and creating a complete coating. Once the resin hardens, it becomes the new pipe that’s just as hard and durable as a full replacement. There is no need to remove the old drain pipe. The head of the cable neatly breaks and pushes the old pipe out of the way. The plastic trenchless piping provides excellent water drainage because of the smooth interior that does not experience debris build up. Quickly repairs plugs or flooding with an affordable, long-term solution, compared to traditional line replacement which can take several days and cost a lot more in labor. No digging and no need for frequent drain cleaning to prevent clogs. For commercial customers trenchless drain repair reduces disruption in the work day and isn’t as noisy. Compared to trenchless repairs, the costs for conventional services are higher. There will also be the added costs of repairing damaged areas where the trench digging has affected the landscaping. 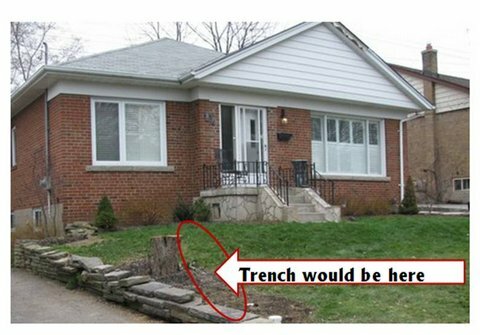 Before moving forward with a trenchless system it’s always a good idea to have a professional evaluate your situation and offer information and quotes for potential solutions. The trenchless approach to sewer repair certainly offers many benefits, but should be installed by a bonded and licensed individual/company. Most people find it is a smart, cost-saving solution that may even improve home value. A to Z Plumbing & Drain plumbers are among the top most experienced plumbers in Toronto at doing trenchless drain pipe repairs. We believe in giving you all the options and letting you making an informed decision that will save you money. 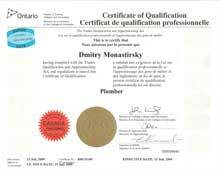 Call us (647) 287-9589 and (416) 519-4919 to schedule your appointment.